Niagara Sustainability Initiative (NSI), a not-for-profit that is leading a Niagara Region program that assists organizations to measure, manage and reduce their carbon emissions, has expanded to include some notable partners. Walker Industries, the City of Welland, Brock University, Niagara College, Creative Sign Works and Synchro Engineering have all committed to the Carbon Project offered by NSI. 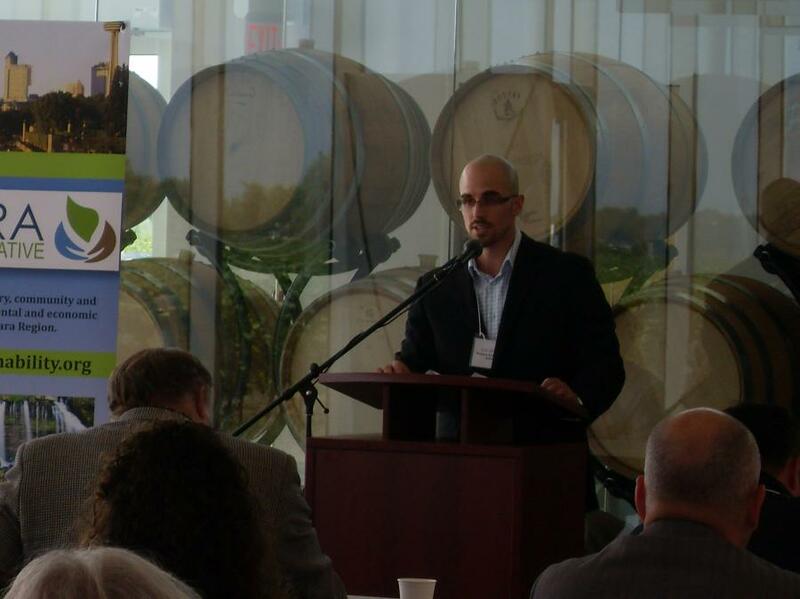 On August 18 at Southbrook Vineyards, NSI’s newest partners discussed the importance of sustainability and carbon management to their organization and the Niagara Region. “Organizations participating in the Carbon Project have all made a commitment to the environment and new business opportunities,” remarks DiValentino. This event was held one week before NSI begins its new season of educational forums and technical workshops that teach local businesses how to reduce carbon emissions, become more sustainable and reduce operating costs.